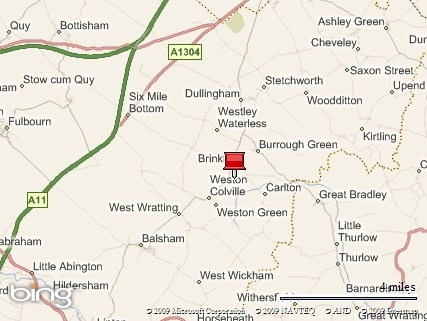 The Camb-Hams are again entering the 2009 VHF NFD contest on July 4th from 14.00z till July 5th 14.00z. 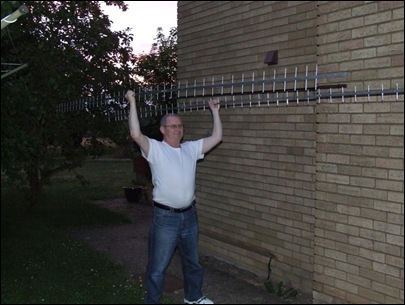 We have entered the unrestricted section on 5 bands (only 4 at any time) which are 6m, 4m, 2m, 70cm and 23cm meaning we can run high power and multiple antennas. Like last time this is an event open to everyone but we do have ambitions to put on a ‘good show’ so we have done some planning which this page is part of so please have a read if you want to join us. Follow the progress on the VHF NFD 2009 Diary Page. A big thanks to Icom UK for sponsoring us again with the loan of an Icom IC-910, one of the best VHF/UHF multimode radios on the market. We now have 3 available for 2m. 70cm and 23cm. Vehicle access to the paddocks is via a neighbours driveway. We have already been given permission for taking things on and off-site but we will not being using this for general access to minimise disruption to the neighbours. We will try and co-ordinate the use of this access route as much of this as possible so we all use it together. Also, as we are situated in an area surrounded by private residence we want to minimise the impact to them too, and most importantly David and his wife. David has given us permission to park cars on the horse-shoe driveway at the front of his house with access to the site at the rear via his garage. The driveway is first in first out but there is also a grass verge over the road we are allowed to use, ground permitting. David has already warned the village we are coming via the local news letter! Most of us plan on camping for the weekend. The RAYNET MCV will be in attendance for cooking alongside BBQs and the like. There will also be a few mini-fridges but if you have one please bring it. We will setup a tented village (social area) away from the operating tent only to keep the QRN down between visitors and radios mics but people are welcome to go visit the stations and watch or help or whatever. Otherwise come join us, sit about and enjoy the atmosphere. 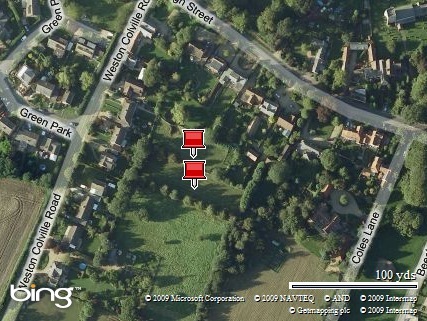 We will try and position the generators so they have the least disruption to the tented village and neighbours. As mentioned before we are planning to make a ‘good show’ this year and stations reflect this, by ‘good show’ we mean keeping the QSO rate as high as possible. The callsign for the contest is G3PYE/P. 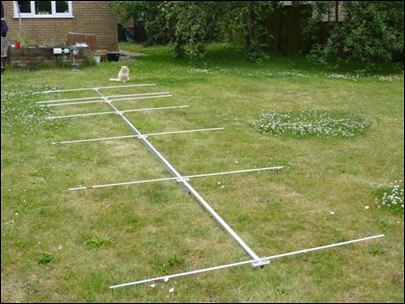 Before we go into details of each station a brief mention of thanks to Colin G4ERO who had a hand in building all the antennas and single headedly built the 6m and 4m beams. Rob M0VFC, Bob G1SAA, Brian G6HFS, Colin G4ERO, Steve 2E0MVB and Gavin M1BXF helped in assembly of the 23cm yagis, a mammoth task, see the VHF NFD diary. Brian G6HFS with 2 of the 47 element 23cm beams. The 7 element 4m beam. Here is the tentative schedule for operation on the day. There are still things can be juggled to accommodate. BKY 116.25 047 16.3; CLN 114.55 302 34.0; CFD 116.50 080 37.2 JO02EE. 1. Take Cherry Hinton Road; travel through Fulbourn to A11, about 2½ miles from Fulbourn. 2. Turn left to join A11 just before the bridge, direction NEWMARKET. 3. Travel on A11, exit on A1304, direction NEWMARKET. A1304 exit is 3 miles after joining A11 from Fulbourn, 6 m from A505 and 10 m from M11. Be careful not to miss this turn or a 12 mile detour via Newmarket will become necessary. 4. Enter Six Mile Bottom after ¼ mile, over the level crossing and turn right at the crossroads for Brinkley. 5. After 3½ miles enter Brinkley and continue straight on after passing the (closed) Red Lion pub on the right, ignoring turns to the left and right. On passing the ignored turn to the right, enter High Street; The Old Forge is the fourth house on the right after 50 yards. 6. Travel east on A14, bypassing Cambridge, and exit on A1303, direction NEWMARKET. After 1 mile, just beyond the (closed) Albert pub, fork right to Six Mile Bottom (3 miles), straight over the crossroads in Six Mile Bottom and proceed from 5. above. 7. If travelling north on M11, exit J9 to A11, and follow directions from 3. above. A1304 exit is 10 miles after turning off M11. 8. If travelling north on A1(M), exit J9 on A505. Travel on A505 for 24 miles to join A11. Follow directions from 3. above. A1304 exit is 6 miles after joining A11. 9. If travelling on A14 from Ipswich direction, take exit B1506 into Newmarket. If travelling on A11 from Norwich direction, take exit A1304 into Newmarket. 10. At the south-west end of Newmarket, at the top of the hill and opposite the filling station, turn left and follow B1061 through Dullingham (4 miles). After 1 mile further, ignore left turn, the road becomes B1052 to Brinkley (1 mile). Enter Brinkley round sharp left turn and continue straight ahead for 100 yards, ignoring the main turn to the right. Enter High Street; The Old Forge is the fourth house on the right after 50 yards.